After what was already a semi-steady line of snow squalls over the first half of winter, the beginning of February brought in a huge system that dumped a ton of snow in the mountains (more than 5 feet in some areas) as well as many areas of the Salt Lake Valley (more than 18 inches in some areas). The upcoming forecast include additional snow squalls that should help keep a fresh layer of powder on top of what is now a solid snowpack. And while they don’t have the same eye-popping numbers or media coverage of their weather, parts of southern Utah have seen even more snow than normal, as a percentage, than the Wasatch Front. Last we checked in the middle of February, the Wasatch Front and major population centers where at 133 percent of normal for their snowpack. Notably, all 16 areas in Utah defined by the National Water and Climate Center as having established snowpack levels were above normal. 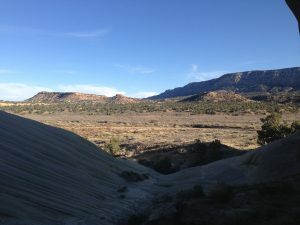 Southwestern Utah was at 159% with some areas reaching as high as 172% of normal. 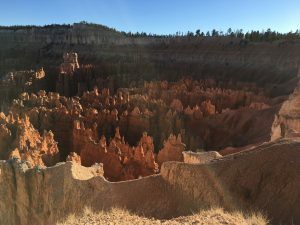 Most Utahns are well aware that we’ve been below average for our snowpack for a number of years as part of a larger debate among climatologists as to what constitutes a drought and what constitutes a new normal. This time last year, some areas in Utah were recording their lowest snowpack levels in 30 years. With this in mind, a heavier than normal year for snowfall does not in itself reverse the effects of a sustained “drought.” Experts suggest we need something more along the lines of five straight years of a snowpack that’s above 125% of normal to get our ecosystem back to what used to be considered normal. Now, this is a decent down payment, and it’s unclear how climate change stands to impact our annual snowfall and precipitation. Looking to Take Advantage of this Year’s Snow Fall? It’s not our thing, but we know a lot of people in Utah and around the country love the state and the Wasatch Front especially for its accessible ski areas and multiple resort options. If you’re looking for upscale accommodations and a secluded vibe, we recommend Deer Valley. If you’re looking for something with a little more friendly and welcoming, we recommend Solitude or Alta. We asked around. If you don’t already have a local connection for cheap tickets and lodging, here’s a user-friendly website to research lift ticket and lodging prices for Utah ski discounts. If these snowstorms keep up through the rest of winter and the snowpack holds put or expands even further, then we can count on late access for full highway and trail openings in the Uintas as well as higher elevations along the Wasatch Front. This may not be ideal news for the most hard-core trail runners…who aren’t also ski fans. For everybody else, once you get past the headaches of digging out your car and driving in the snow, it’s pretty good news. And a late, sloshy start to the hiking season usually yields an abundance of colorful, summertime wild flowers that are truly a sight to behold along with many of the other more famous attractions in Utah. 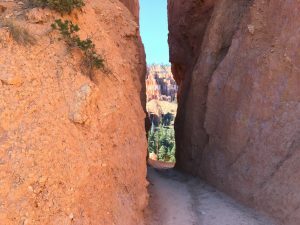 This is our favorite hike in Bryce. 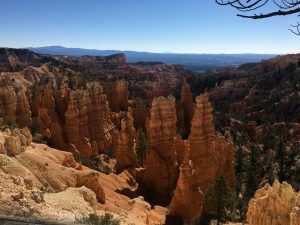 Aside from Tower Bridge, it doesn’t have the same famous postcard spots, but it’s also 8.5 miles of quintessential Bryce Canyon. The parking lot is modestly sized, but a lot of people are only there for the scenic viewpoint. We were able to wait on a parking spot to open up after only a few minutes. Good thing, too. We were told after the fact that the shuttle wasn’t running to this trailhead. This is another hike in which we recommend going counter-clockwise. There is a huge steep stretch a few miles long right in the middle of this trail. 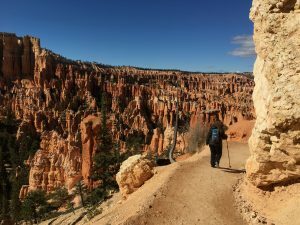 By going counter-clockwise, you can go uphill for half the distance at both the beginning and end of the trail, rather than enduring it all at once in the middle of the day. The Fairyland Loop can be something of a money hack for those traveling on a shoestring budget. While the trail itself is inside the National Park, the turnoff for the trailhead is outside the Visitor Center and ranger station where they collect vehicle fees. 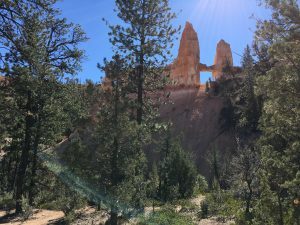 The assumption is that, if you came to Bryce to hike Fairyland Loop Trail, you probably want to see the rest of the canyon as well. And they’re right. Pay the entrance fee and see the park in its entirety. Find some of the best views of the Great Salt Lake and Wasatch Front on Antelope Island. Just know when to go. From mid spring to early fall, a number of insects emerge, but the most fearsome of the bunch is undoubtedly the no-seeums, or biting gnats. Heavy use of bug spray can keep irritation to a minimum when hiking the trails. Here’s a handy FAQ list to prepare for a visit to the island. The island is bigger than you might think, spanning 20 miles long and a few miles wide, and you can easily spend 2 full days exploring the island’s trails and visiting the Fielding Garr Ranch. On the mountainside, along the Wasatch Front, Adams Canyon, Farmington Creek Trail, and Kenny Creek Trail each offer a short day hike that is both beautiful and accessible to for Davis County residents. 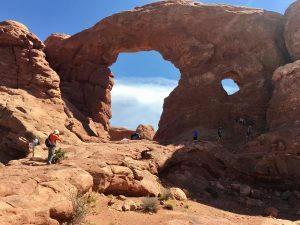 Moab—and Arches and Canyonlands especially—is nothing short of an international destination for nature-seeking tourism. Reliably, you can hear a handful of different accents from around the world on the tours that run throughout the year. The key is to avoid the extreme heat of the mid-summer, or at least know what you’re getting yourself into. Further to the south, Mexican Hat is also just a hop, skip, and a jump from the Monuments Valley and tribal lands of northern Arizona. 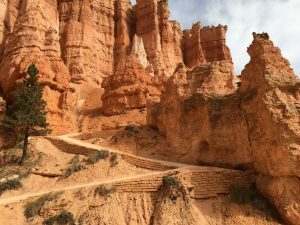 Altogether, this stretch of land in Utah is well-known visually—at least subliminally—to most of the country and the world as the background and filming locations for many of the most famous movies ever made. Moab is also home to the locally famous microbrew of the same name. To many who love primitive and pristine nature, Lake Powell is both a can’t-miss destination and something of a disappointment. It pretty much entirely surrounds the controversial issue of the Glen Canyon Dam. As a river guide once told us, “the best canyon in the world doesn’t make for a crappy lake.” More to the point, along with natural bridge, hole in the rock, and the surrounding area, this is a place you need to visit. The more daring among us will also find spots to cliff jump, but be careful. With varying water levels and shifting rocks, the area under the cliff needs to be thoroughly searched and all precautions should be taken. 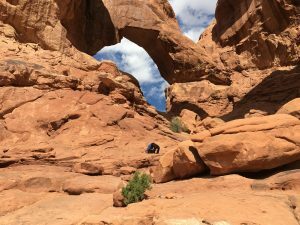 As defined by falling to the west of Lake Powell, southwest Utah is largely known for the Grand Staircase—the other half in terms of the most iconic natural scenery and breathtaking backdrops on the planet. 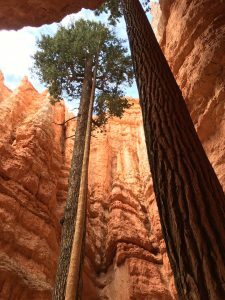 Simply put, the Staircase starts in Escalante, then it drops down to Bryce Canyon, and then to Zion National Park. 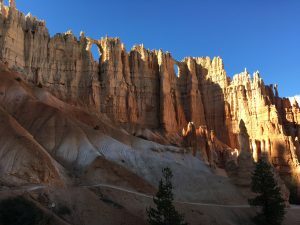 Distinctive in their own right, the bottom layer of rock formation for Escalante is the top layer for Bryce Canyon, which itself ends at the top of Zion. It’s literally three different mini-worlds that are each worth a visit. 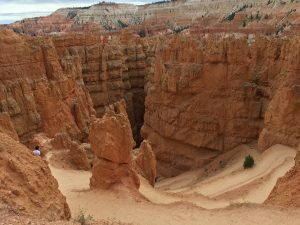 And when you’re ready to leave our fair state of Utah, you can cap off your journey at the bottom step of the Grand Staircase—also known as the Grand Canyon.